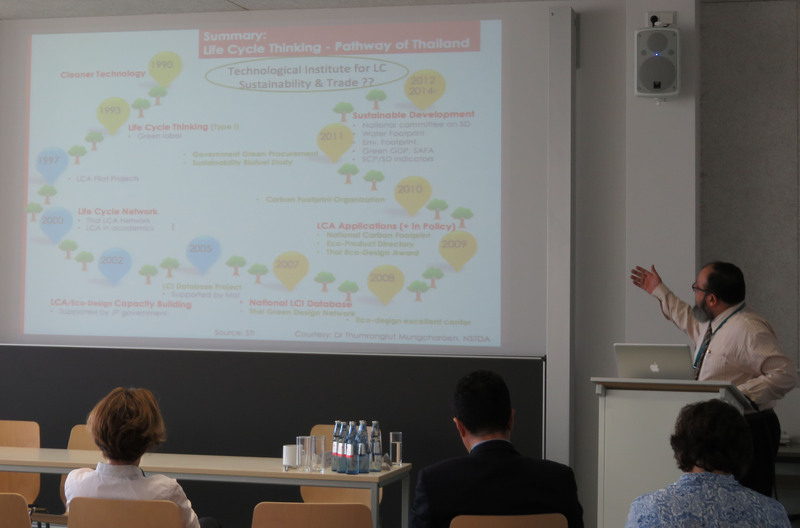 The 8th LCS-RNet Annual Meeting was held in Wuppertal, Germany, in conjunction with the 7th International Sustainability Transitions (IST) Conference and the Wuppertal Institute 25th anniversary event. The agenda of this 2016 event was mostly based on the international agreement reached at COP 21 in Paris in December 2015, as international debate has shifted to the question of how the agreement should be implemented. The meeting was of particular importance in the context of follow-up to COP 21, the G7 meeting in Elmau and G7 EMM in Toyama, and in preparation for IPCC AR6. The agenda addressed: 1) how to trigger non-linear transformation toward full decarbonization by 2050 as targeted by G7 (Elmau), COP 21 (Paris) and G7 EMM (Toyama), 2) how a new deal for green growth can be designed and achieved, 3) how to explore and exploit synergies between the Sustainable Development Goals and low-carbon societies, and 4) the new role of science in the context of the SDGs and climate policy after Paris. The meeting consisted of four plenary session and eight breakout sessions on subjects including energy transition, long-term decarbonization scenarios, low-carbon cities, land use, low-carbon development technology and sustainable consumption and production (SCP). Many of the presentations reflected post-Paris Agreement tendencies, such as positive and concrete action plans promoted by governments, cities and the private sector. At the last session, which was held in collaboration with the International Sustainability Transitions (IST) Conference, the presenters indicated a shift in the science field from normal research to action research, especially in climate policy studies. Plenary Session 1: How to trigger the non-linear transformation towards full decarbonisation (by 2050) as targeted by G7 (Elmau) and COP21 (Paris)? KS_1 What disruptions are we facing in the areas of environment, energy, geopolicy and what could be strategies to counter them? KS_2 Energy Futures 2040: A positive vision or calculated optimism? Parallel session 1.2 What are the potential contributions of non-state actors (including cities and finance industries) and how to better involve them? PS1.2_4 Small-scale energy projects in the global South – Can they contribute to decarbonisation? Plenary 1.3 What are the implications of disruptive/non-linear developments for policy makers and firms and how can we come to a concept of managing? PS1.3-2 Energiewende: a challenge for energy companies but also a chance? Plenary Session 2: How could a “new deal” for green growth be designed and achieved? PS2.2_2 Financing urban climate action: Is the issue really creditworthiness? Plenary 2.3: Panel Discussion: How could a “new deal” for green growth be designed and achieved? Plenary Session 3: How to explore and exploit the synergies between the Sustainable Development Goals (SDGs) and low carbon societies? PS3.3_2 Deep decarbonization in Industries ‐what does it mean for India? PL4_1 A new scientific paradigm for SDGs?